The Department of Home Affairs briefed the Committee on its responses to the submissions received on the Bill.The brief presented a summary of 19 submissions made from over a total of over 200 pages submitted by various organisations to the Bill, arranged according to clauses of the Bill and sections of the original Refugees Act. Submissions were received from the Agency for Refugee Education, Skills Training and Advocacy (ARESTA), Amnesty International (AI), the Centre for Child Law (CCL), the Centre for Constitutional Rights (CFCR), the Commission for Gender Equality (CGE), the Consortium for Refugees and Migrants in South Africa (CORMSA), the Goodway& Buck Attorneys (GBA), the International Network of Congolese Lawyers (INCL), Joburg Child Welfare (JCW), the Jesuit Refugee Service South Africa (JRS), Lawyers for Human Rights (LHR), Legal Resources Centre (LRC), Mr MJ Bauwen’s: Refugee Lawyer (MJB), Mr Kande (Lecturer/Writer) (MKL), the Refugee Legal and Advocacy Centre(RLAC), the Rwandan Refugee Community Association (RRCA), the Scalabrini Centre of Cape Town (SCCT), the Scalabrini Institute for Human Mobility in Africa (SIHMA) and Stop the Attack on Refugee Rights Campaign (STAR). Responding to comments made by the AI, SCCT, LRC, LHR, CORMSA, STAR and MJB whom had a view to amend the preamble, the Department noted that all issues that were dealt with in the Bill were challenges to the asylum process and the Department was of the view that the proposed amendments should be treated with some urgency. The DHA also noted that the Promotion of Administrative Justice Act applied in all administrative actions, regardless of whether or not its principles were incorporated into any legislation. The DHA agreed with Amnesty International that the realisation of adequate and comprehensive protection of asylum-seekers and refugees required adequate resources. Comments were made by MJB, stating that the Standing Committee for Refugee Affairs and the Refugee Appeals Board should be merged for efficiency of services to access manifestly unfounded and unfounded applications and should comprise of three members and one judge,including only one process for unfounded cases after beingfound manifestly unfounded. This was a policy matter and for as long as there was review and appeal, the provisions for theRefugee Appeals Boardandthe Standing Committee for Refugee Affairs (SCRA) were to make processes work smoothly. On the comment that there should be an improvement of refugee status determination process in order to avoid unnecessary rejection of applications on the basis of unfounded reasons, the Department responded that italways pointed to the abuse of the asylum system by economic migrants (with such applications making up about 90% of applications). In this regard, the reference made to the Musina Refugee Reception Office having granted status to only five people was an outcome of quality assurance for the Department. The Department said that trends available pointed to most asylum-seekers avoiding making applications at the Musina Refugee Reception Office, due to its inefficiency levels, thereby choosing to lodge their applications at Marabastad Refugee Reception Office where quality assurance was constrained. The DHA always strived to ensure that Refugee Status Determination Officers (RSDOs)made good quality decisions and in this regard, the Bill proposed certain measures under clause 9C whereby the SCRA might assist with monitoring and supervision of the RSDOs. Responding to the comment made by the LRC that apartheid rejected international standards but the country was bound by international refugee conventions which led to excellent Refugees Act, which should not be allowed to regress due to severe security measures, the Department said that the proposed amendments were aimed at providing measures to deal with the challenges experienced within the system and not intended to move away from the obligations under international instruments. The asylum system was however not meant for economic migrants. The DHA was of the view that genuine asylum-seekers and refugees would be aided by the efficiency brought about by the proposed changes. It was not meant to diminish or restrict access to Refugee Reception Offices for asylum-seekers or refugees. There was nothing in the Bill that sought to withdraw the already granted protection, neither was anything sought to restrict access to a fair and efficient asylum procedure. The DHA further responded to comments made in relation to clause 1 (definitions), clause 2 (exclusion from refugee status), clause 3 (cessation), clause 6 (RRO and RSDOs), clause 7 (composition of Refugee Appeal Authority), clause 13 (the SCRA), cause 14 (crime prevention), clause 15 (rejection of application), clause 16 (unaccompanied child and person with mental disability), clause 17 (refugee children), clause 18 (asylum-seeker visa), clause 19 (detention of asylum-seekers), clause 20 (decision regarding asylum), clause 21 (review by SCRA), clause 22 (referral of decision back to RSDO by RRA), clause 23 (continuous residence), clause 24 (removal and detention of refugees and asylum-seekers), clauses 25 and 26 (time limit to inform of change of address) and clause 27 (withdraw of refugee status). Members sought clarity ontransitional provisions, on the substitution of the word “in anyway” for the word “in the prescribed circumstances”, on five days period, on composition of SCRA, on refugee status determination procedure and on the capacity to implement the Bill when came into force. The Committee considered and adopted the report on responses of the DHA, the second and third quarter 2016/17 expenditure and performance reports of the DHA, and minutes of 06 January 2017, 24 January 2017 and 31 January 2017. The Chairperson opened a meeting by noting that the DHA would be briefing the Committee on its responses to issues arising out of the submissions received on the Bill. The Committee was expecting to hear reasons why those recommendations in respect of certain clauses of the Bill were dismissed and thus not taken into account. He noted apologies from Ms SNkomo(IFP) and Ms NMnisi (ANC). He welcomed Ms Fatima Chohan, Deputy Minister of Home Affairs and gave her an opportunity to pronounce opening remarks. The Deputy Minister responded that she would speak after briefing and this would depend on whether more clarity was needed. - Stop the Attack on Refugee Rights Campaign (STAR). 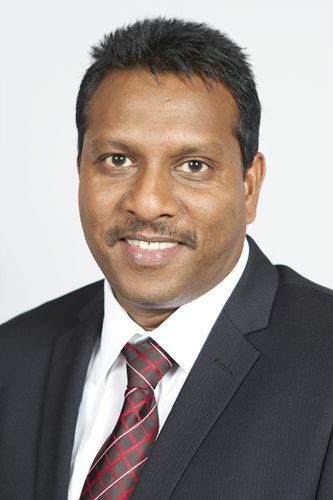 Responding to comments made by the AI, SCCT, LRC, LHR, CORMSA, STAR and MJB with a view to amending the preamble, Mr Erasmus noted that all issues that were dealt with in the Bill were challenges to the asylum process and the DHA was of the view that the proposed amendments should be treated with some urgency. He noted that the Promotion of Administrative Justice Act applied in all administrative actions regardless of whether or not its principles were incorporated into any legislation. The DHA agreed with the AI that realisation of adequate and comprehensive protection of asylum-seekers and refugees required adequate resources. Accordingly the DHA should be fully resourced. On the comment made by MJB that the Standing Committee for Refugee Affairs (SCRA) and the Refugee Appeals Board (RAB) should be merged for efficiency of services to access manifestly unfounded and unfounded applications, and should comprise of three members and one judge and only process for unfounded cases after manifestly unfounded, he said that it was a policy matter and for as long as there was review and appeal, the provisions for RAB and SCRA were to make processes work smoothly. On the comment that there should be an improvement of refugee status determination process in order to avoid unnecessary rejection of application on the basis of unfounded reasons, he responded that the DHA always appointed to an abuse of the asylum system by economic migrants (with such applications making up about 90% of applications). In this regard, the reference made to the Musina Refugee Reception Office having granted status to only five people was for the DHA was an outcome of quality assurance. Mr Erasmus said that trends available pointed to most asylum-seekers avoiding making applications at the Musina Refugee Reception Office due to its inefficiency levels thereby choosing to lodge their applications at Marabastad Refugee Reception Office where quality assurance was constrained. The DHA always strived to ensure that RSDO’s made good quality decisions and in this regard, the Bill proposed certain measures under clause 9C whereby SCRA might assist with monitoring and supervision of the RSDOs. Responding to the comment made by the LRC that apartheid rejected international standards but the country was bound by international refugee conventions which had led to excellent Refugees Act, which should not be allowed to regress due to severe security measures, Mr Erasmus said that the proposed amendments were aimed at providing measures to deal with the challenges experienced within the system and not intended to move away from the obligations under international instruments. The asylum system was however not meant for economic migrants. The DHA was of the view that genuine asylum-seekers and refugees would be aided by the efficiency brought about by the proposed changes. It was not meant to diminish or restrict access to RRO for asylum-seekers or refugees. There was nothing in the Bill that sought to withdraw the already granted protection, neither was anything sought to restrict access to a fair and efficient asylum procedure. Mr Erasmus further responded to comments made in relation with clause 1 (definitions), clause 2 (exclusion from refugee status), clause 3 (cessation), clause 6 (RRO and RSDOs), clause 7 (composition of Refugee Appeal Authority), clause 13 (the SCRA), cause 14 (crime prevention), clause 15 (rejection of application), clause 16 (unaccompanied child and person with mental disability), clause 17 (refugee children), clause 18 (asylum-seeker visa), clause 19 (detention of asylum-seekers), clause 20 (decision regarding asylum), clause 21 (review by SCRA), clause 22 (referral of decision back to RSDO by RRA), clause 23 (continuous residence), clause 24 (removal and detention of refugees and asylum-seekers), clauses 25 and 26 (time limit to inform of change of address), clause 27 (withdraw of refugee status). See the attachment. The Chairperson said that Members should seek clarity from the Department to understand correctly what its responses contained. Referring to the response made with regard to concerns raised by the RRCA that there was a lack of transitional provisions for existing asylum-seekers, the Chairperson sought clarity on whether there were existing backlogs in appeal. The DHA responded that there were no backlogs for RSDOs and therefore there was no need for transitional provision in that regard. However, the DHA proposed transitional provisions as new clause 31. The Chairperson sought clarity from Mr MHoosen (DA) whether he agreed with the DHA’s contention and asked Members whether they were in consensus with responses provided with regards to definitions. Referring to the exclusion from refugee status clause, he sought clarity on the substitution of the words “in anyway” for the words “in the prescribed circumstances”. Ms D Raphuti (ANC) sought clarity on whether refugee status was indefinite or a fixed period. Mr Erasmus responded that a refugee was not automatically indefinite as circumstances that might have brought about the reasons for seeking asylum might change thereby bringing a change in the status of a person. The Chairperson, referring to slide 33, sought clarity on the reference to “in any way”. Mr Erasmus responded that, in referring to “in any way”, the DHA wished to point out that every case would be dealt with on its own merit. The DHA would base its decision on information before it. The Chairperson referring to slide 48 and sought clarity on the composition of the SCRA and on whether the determination of refugee status should be done by one person or three persons. Mr Erasmus responded that all functions of SCRA may be undertaken by single member as may be considered necessary. Additional members could be decided on by the Chairperson of SCRA. Mr DGumede (ANC) sought clarity on whether the DHA had human capacity to ensure that the Bill was implemented effectively. The Chairperson sought clarity on whether the five days period to report to the RROs was maintained or amended. He remarked that people fleeing from danger ordinarilydid not use ports of entry because they wanted to ensure that they were not stopped from entry in the Republic. They feared that they could be arrested and deported back to their home countries. Once in the country, they might not know where to report to. Mr Mandla Madumisa, Acting Chief Director: Asylum Seeker Management, Department of Home Affairs, said that asylum-seekers were approached in different ways. Those applicants for asylum from South African Development Community (SADC) countries were treated differently. If people from neighbouring countries did not use port of entry the DHA understood that. However, it did not understand how people from further afield countries could not use ports of entry. The DHA was not saying that they should not apply; rather, they should explain why they did not use a designated port of entry whilst they travelled through various countries. These people ought to report within five days and the five days period was aligned with the Immigration Act. Five days kicked off once a person expressed his intention to seek asylum. If an asylum seeker passed through Lebombo port of entry, he or she was expected to report to the nearest RRO which was Desmond Tutu. The Chairperson sought clarity on how all this information would be processed to ensure that asylum-seekers were not victimised by the system. How would you deal with the person who spent three months in KwaMashu and, after three months, showed up to Desmond Tutu to apply for asylum? MrMadumisa responded that such person who spent three or six months in the country but not in possession of asylum-seeker visa would be allowed to sit for an interview after which he or she satisfied officials why she failed to report to the RRO as soon as he or she arrived in the country. 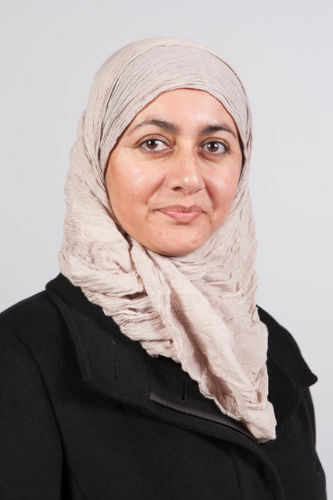 Ms Fatima Chohan, Deputy Minister of Home Affairs, welcomed submissions from the public participation and said that it provided some potential inputs that would be considered to improve provisions of the Bill. The Chairperson tabled the report. It was considered and adopted without further amendment. Consideration and adoption of the second and third quarter 2016/17 expenditure and performance reports of the Department of Home Affairs. The Chairperson tabled the minutes of 6 January 2017. It was considered and adopted with a minor amendment. He tabled the minutes of 24 January 2017 and 31 January 2017. It was considered and adopted without amendments.